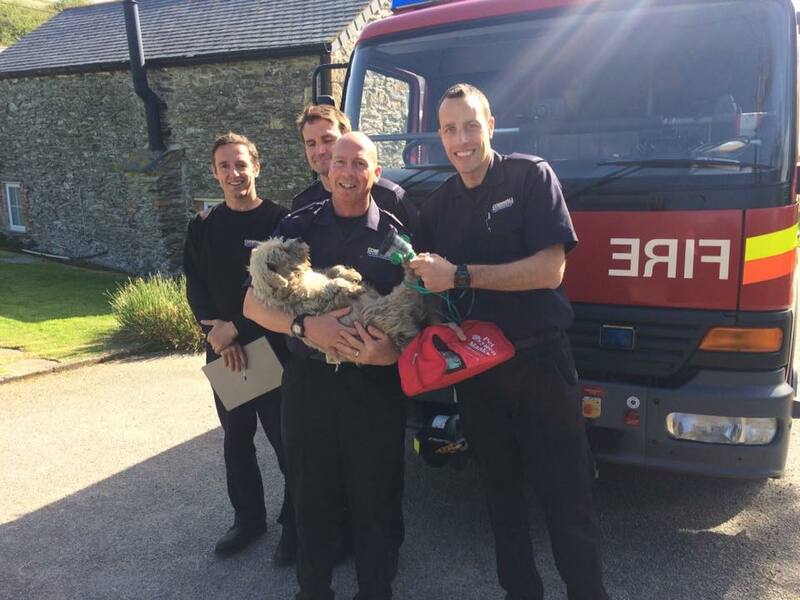 The dog was resuscitated using our animal oxygen masks for pets (which were kindly sponsored by Pets at Home, the RSPCA (England & Wales) and The Dog House Helston). He was rescued from a heavily smoke logged property near Poly Joke in Newquay and against the odds made a full recovery! The following day he was still soot blackened but very excited to see the team!